AWS Lambda has changed the way we deploy and run software, but this new paradigm has also created new challenges for old problems. For example, how do you test a cloud-hosted function locally, and how do you monitor it? What about logging and config management? And how do you start migrating from existing architectures? Over two days, expert Yan Cui shares solutions to the challenges of running Lambda in production and migrating from an existing monolithic system. Through a mix of lectures, demonstrations, and hands-on exercises, you'll learn testing strategies for lambda functions and how to monitor them in production, how to create continuous integration and development (CI/CD) pipelines for lambda functions, how to implement centralized logging and distributed tracing, how to manage configurations, and how to secure lambda functions. You'll also discover serverless design patterns and best practices when using AWS Lambda with API Gateway and Kinesis. You’re a software architect or senior developer who wants to learn how to run AWS Lambda in production. 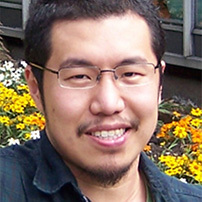 Yan Cui has nearly a decade of experience working with AWS. He has architected and implemented a large Serverless architecture of over 170 Lambda functions utilizing many AWS services including API Gateway, Kinesis, IOT, DynamoDB, SNS, Elasticache and many more. He has been through the journey of migrating a monolithic system to Lambda and has solved the many growing pains as his Serverless architecture became more expansive and complex.